Hridoyer Rong Song Is Sung by Lagnajita Chakraborty from Ghare And Baire Movie. Music Composed by Anupam Roy. Starring: Jisshu Sengupta and Koel Mallick. Ghore & Baire Bengali Movie Directed by Mainak Bhaumik. Ora Hridoyer Rong Jane Na Song Lyrics written by Anupam Roy. 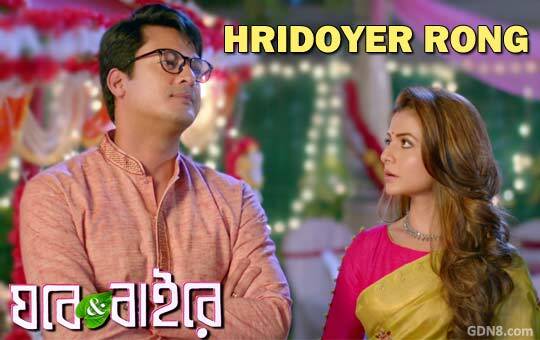 News about Hridoyer Rong Song Lyrics: Great news for all "Anupam Roy" lovers, He is come with his 2nd composed song from Ghore and Baire Bengali Movie sung by Lagnajita Jishu Sengupta And sweet cute Koel Mallick is the starring Main Lead Role and others cast is Biswanath, Aparajita Adhya and others In This Movie.